UPIConnect is a free and confidential service that connects trained peer counselors with people of all backgrounds who wish to discuss their experience with abortion in a safe and supportive space. 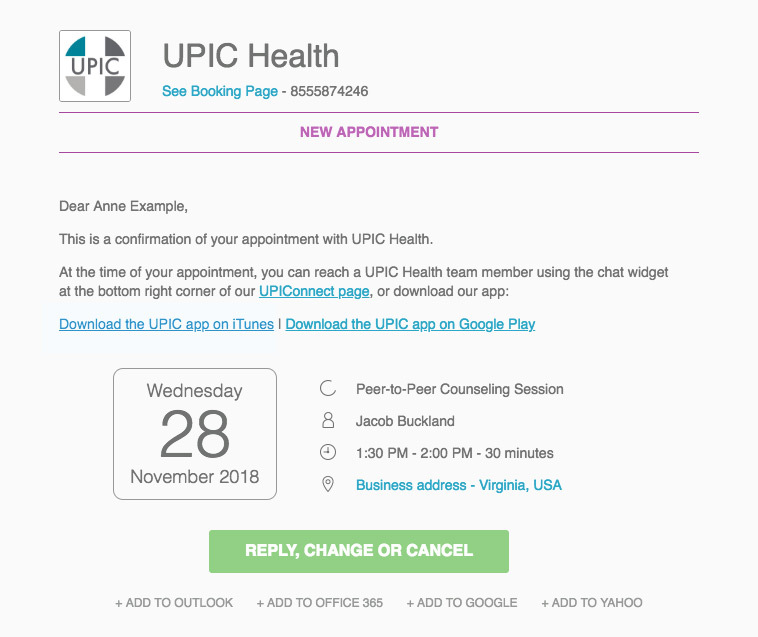 Your comfort and convenience is always a priority for UPIC, schedule an appointment online today to connect with one of our available counselors. UPIConnect is always 100% free and confidential, however we understand if you would like to schedule anonymously. To remain completely anonymous, please enter info@upichealth.com in the email field and UPIC’s contact number (855)587-4246 in the phone number field. If you choose to remain anonymous, you will not receive an appointment confirmation.